All material and software Copyright (c) 2005 Teksoftprint. All rights are reserved worldwide. 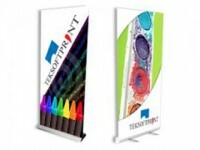 It is strictly prohibited to redistribute copy or republish any of the material and software contained on the Teksoftprint.com.au web site. Trade names, trademarks, slogans and/or designs depicted in this website are proprietary marks of their respective owners and can not be adapted, reproduced, copied, stored, distributed, transmitted, printed, displayed, sublicensed, performed, published in whole or in part without the owner's prior knowledge and expressed written consent. All artwork or designs and images must be provided in CMYK format. Teksoftprint is not responsible for any colour shift that occurs in conversions from RGB to CMYK colour modes. All artwork, designs and images must be provided in minimum of 300 DPI and CMYK format. Teksoftprint is not responsible for images printed as fuzzy, distorted or pixilated due to customer provided artwork. It is the Customer's responsibility to ensure that any materials suppied for printing do not breach relevent copyright law. Teksoft Print accepts NO responsibility for any copyright issues. A 100% exact colour match is not possible. 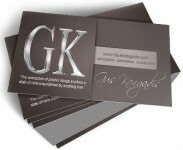 The most accurate means of colour matching entails printing the job in isolation as a stand alone job. This means of printing is not however always possible and will result in the print cost of the job being significantly greater. Application of lamination may effect or change the appearance of the printed colours. Teksoftprint is not liable for the final colour appearance of a laminated product/s. Customer must notify Teksoftprint within 7 business days of order acceptance to notify any defects discovered in the ordered product. In order to receive replacement Customer must return 99% of the received product within 30 days (on their own expense) from the time when the ordered product delivery was taken. All charges related to expedite printing (Rush Printing or Shipping) are NOT REFUNDABLE, including for those orders that are returned for any reason. No Exceptions. Orders cannot be cancelled except upon terms, which compensate Teksoftprint for all work done, materials used or specially acquired to complete the order, to the date of the cancellation. We have a range of different colours available on Foil business cards which includes: Red, Orange, Green, Blue, Black, Silver and Gold. Perfect for displaying at trade shows and in store our roll up banner are printed on high quality stock that come with a durable frame and carry bag. Keep fresh in your customer's minds all year round using wall calendars. Printed on high quality paper stock with a hanger so they can be easily fixed to walls.